"Nevertheless, I will bring health and healing to it; I will heal my people and will let them enjoy abundant peace and security." In 2010 the first large group Mission Trip to Kawete, Uganda and its new school , Christ Community Lutheran School-Uganda was organized by Rudy and Dorothy Schaser of With God's Little Ones and Rob Cooksey, former Director of Christ Community Lutheran School-St. Louis. 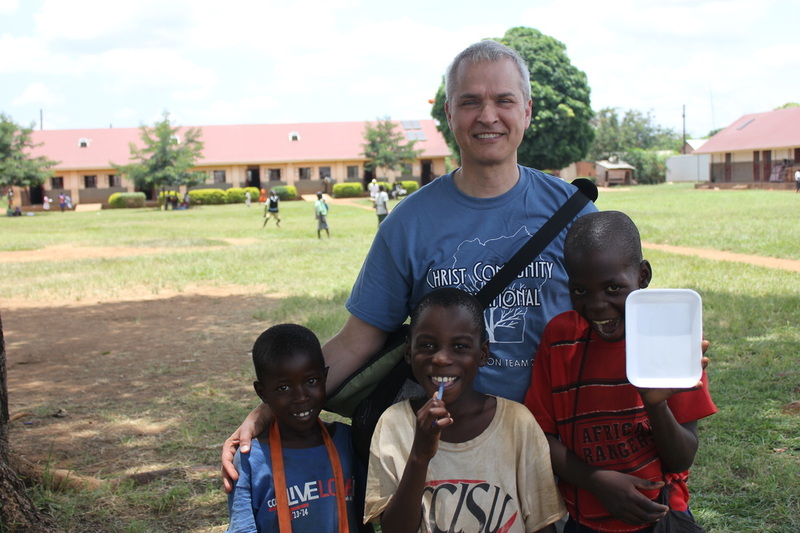 Dr. Killian, parent of 3 CCLS-St. Louis students at that time, learned of the mission and felt guided to ask the team if medical care for the new school in Kawete, Uganda was a necessity. After discussion with Rob Cooksey and Pastor Schaser, Dr. Killian volunteered to go on the first group mission trip. 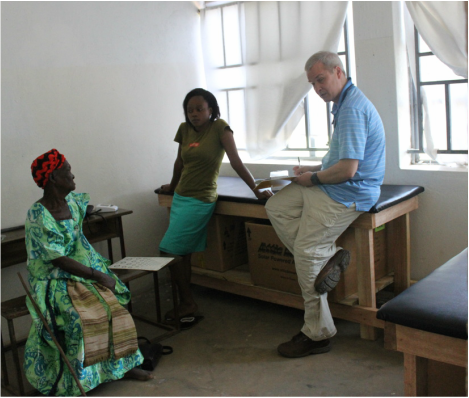 Since that first visit, Dr. Killian has remained committed to continuing the care for the children and families of Kawete and CCLS-Uganda. Originally medical care was provided in a classroom but now is delivered in a 3 Room Medical Clinic on the school compound. Since January 2014, Nurse Nabirye Stella is available to provide care for the students Monday through Saturday. This allows problems to be addressed more urgently and has contributed significantly to the health of the school children. Medical teams visit twice a year and provided care for a wide range of medical problems including Malaria, Respiratory Infections, Asthma/Allergies, Sickle Cell Anemia, Fungal Infections, Prenatal Care, Pregnancy Induced Hypertension, Hypertension, Provided a prosthetic leg for a 5 year old patient, and helped provide surgery for an infant with Congenital Hydrocephalus. Our goal is to provide basic medical care and preventive health services so the children may grow, learn and develop their God given potential and that someday a CCLS-Uganda student returns to provide medical care at CCLS-Uganda in Kawete! Stella received her nurse training in Uganda. She offered to support the mission by translating in the clinic from 2011-13. Once she graduated with her nursing degree, she was hired as the school nurse for CCLS-U. Stella's father was the first president of the Lutheran Church Mission - Uganda. She currently resides in Kawete with her mother. We are currently unable to take medications through customs in Uganda. Please consider a monetary donation to offset the cost of purchasing needed medical supplies in Uganda. Monetary donations for purchasing medicines in Uganda are preferred due to tighter restrictions on what we can carry into the country.